POSSIBLE SPOILERS AHEAD. We didn't jump on the How to Train Your Dragon bandwagon until long after the first movie had gone to DVD/BluRay, but once we did finally watch it, both the mister and I totally fell for its charm. And Toothless, natch. How to Train Your Dragon 2 picks up on the island kingdom of Berk five years after the adventures of Hiccup and Toothless began. The vikings have taken to their dragons quickly, and treat them like part of the family. Stoick is attempting to groom Hiccup to take his place as chief when he retires, but Hiccup would rather go exploring and adventuring with Toothless. On one such adventure, the duo come across a set of dragon trappers ... and a mysterious dragon rider who might be more than meets the eye. 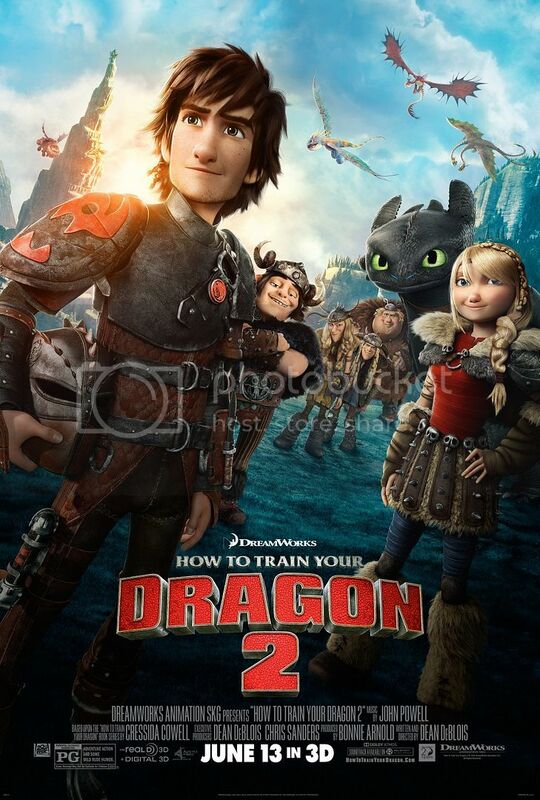 Before I get into the why, let me say: How to Train Your Dragon 2 is adorable. It has a great humor that rides the line between childlike and adult so well. 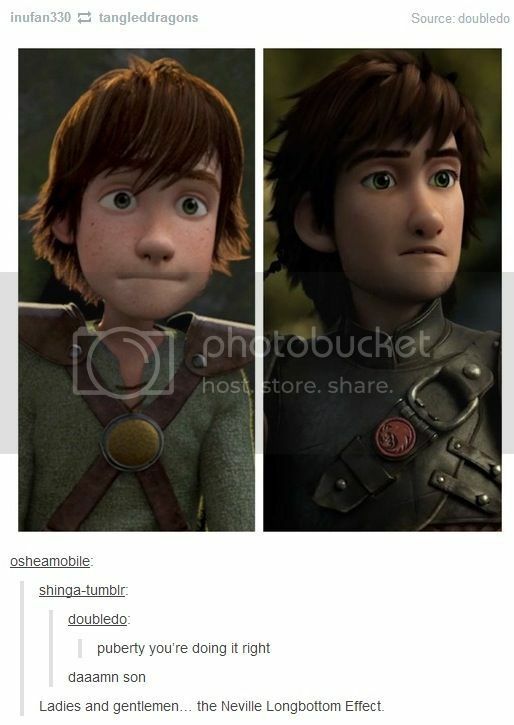 The main characters—particularly Hiccup, Astrid and their crew—are endearing. I think it's hilarious that the actors that voice the kids young adults look absolutely nothing like their characters (particularly America Ferrera (Astrid) and Christopher Mintz-Plasse (Fishlegs)), but it all works. The new big bad, Drago Bludvist, is voiced by Djimon Hounsou. Again, he looks nothing like his character, but his voice is perfect for a baddie role. The stars of the movie, however, are definitely the dragons. I want my own Toothless SO BAD. The CGI was also great, both technologically and visually; I'd love to visit some of the places Hiccup and Toothless visit, regardless of their historical inaccuracy/fantastical nature. I'd highly recommend this movie to anyone who enjoyed the first one, or anyone who wants to enjoy a carefree time at the movies. Whoa, he definitely Longbottomed. I'm excited to see this, but I think I'm going to wait for the DVD release. There's also some pretty impressive Toothless cosplay I've seen making the rounds on the internet. I need Toothless. Rick and I only watched the first one recently and we were both really surprised at how much we enjoyed it. Looking forward to catching the second one in theaters for the "wow" factor. HA that bottom image is classic. And for the first one, I was completely baffled at how well the voices work given that they look nothing like the characters! But you're right, they do. I am definitely excited to see this (our three year old loves the first one) but we'll be waiting until it's out. The little just isn't quite movie theater ready! AHH I want to see this so badly! I own the first HTTYD and just love it. My friend and I also decided his car (black Hyundai Elantra) looks like Toothless... sounds weird, but there's something about that car. Anyway, this post made me happy! Toothless cosplay is AMAZING if done right. People are so talented. And yeah, I wouldn't rush out for this one unless you're really itching to see it. No real special effects that are better on the big screen. I think we (Colt and myself) miss out on a lot of the good cartoons since we don't have kids and are a little too old to be the target audience for them, but I try to seek out ones that I've heard are good. We wouldn't have seen Rise of the Guardians or Frozen if it weren't for our niece (who's five). Both excellent movies, even if the latter is a little overly exposed. Totally understandable. I can't imagine being that small and being asked to sit still for 2 hours, haha! When we left the theater, I told Colt that we should change the name of our car—a black Mini Cooper—to Toothless, haha. So that doesn't sound weird at all!